You're the parent of a teen. 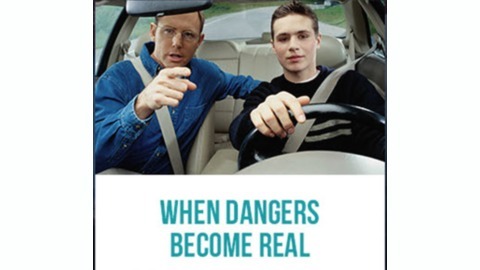 All of a sudden, the dangers of drinking, driving, and drinking and driving are so real. They're growing up fast and you may not always know where they are or what they're doing. And that can be scary. 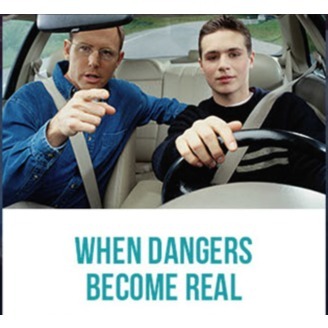 So how can you help your son or daughter make good decisions when: their friends are drinking; they get offered alcohol or marijuana; the party is getting out of control; someone passes out from drinking; they're on the road themselves; they're driving and get a call or text; they're a passenger with a teen driver; their driver has been drinking.This audio program, When Dangers Become Real, deals with real life situations that parents of teens face every day. As you listen, you'll hear how parents like you can turn these challenges into opportunities to guide and support their teen.Narrated by Emmy award-winning television star Ray Romano, the stories show what parents can do to help their teen stay safe: setting rules about drinking, driving, and drinking and driving, monitoring how they are doing, effectively communicating and, as always, providing the support their children need to stay safe.It's not always easy. But as the parents in this program find out, your teens need your support, perhaps more than ever. Teenagers may act like they don't want to hear from their parents, but your guidance is key to helping your child face the challenges ahead. So, listen in! Narrator Ray Romano introduces the series.In the first episode, Robert and Janet Johnson parents receive a call from their son Brad. They find out that he secretly attended a party that has recently been broken up by the police. After his father picks him up, Brad answers his parents' questions and addresses their concerns about what happened at the party. Although upset, Robert and Janet appreciate that Brad felt comfortable calling his parents for help, and that he did not take a ride home from any one else that may have been drinking. Did you drink as a teen?